There's no question that there's a power and many advantages to being the first mover in a new market, along with a like number of potential downsides that require careful navigation. I've written about both aspects of this "advantage" previously and it remains a complex area to figure out. See http://www.inc.com/howard-tullman/first-mover-advantage-maybe-but-be-smart-about-it.html. And I also appreciate that the conventional wisdom suggests, in almost every tech-based or tech-enabled business, that markets over time will tend to become "winner take all" or "winner take most" in which a single player dominates. 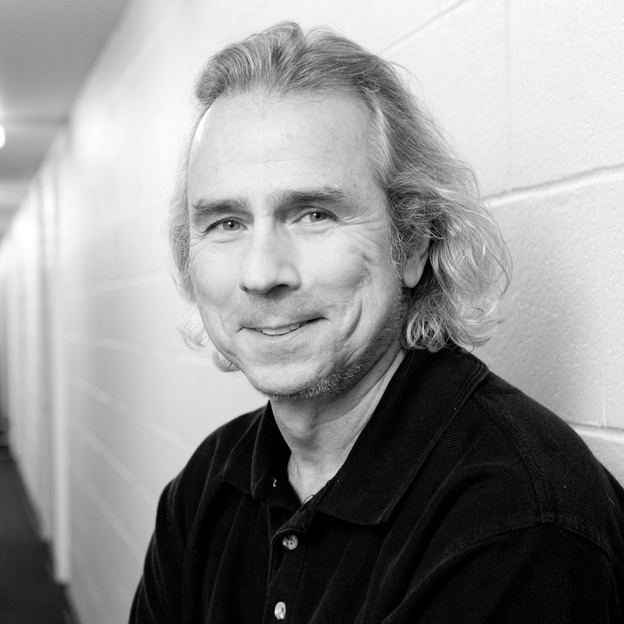 See http://www.inc.com/howard-tullman/future-of-content-marketing-simplereach.html . But it's equally important to understand that in certain sectors, especially those of enormous size, it's perfectly acceptable-- in fact it's highly advantageous-- to "settle" for second. Not only can you go to school on the leader and see everything that works or doesn't work before you build your own model and go-to-market strategy; you can actually build your business specifically to fill a gap, offer an alternative, address an unmet need, or just concentrate on serving a large and accessible portion of the customer base whose priorities differ from those served by the big guy. I've been watching one of these David and Goliath stories unfold over the last year or so and-- for my money-- it's starting to look a lot more like a fairly fair fight that is gonna be much more interesting and competitive than I think anyone expected. I'm talking about Jet.com taking on Amazon.com pretty much head-to-head and beginning to carve out a very sizable business in a very short time. My best guess is that their first full year gross sales may hit $1 billion, although that's currently a rounding error compared with Amazon's $107 billion in revenues. As I noted, it helps Jet.com a whole lot that we're talking about a marketplace - retail - that is not only huge, but one that has never been a "winner take all" world. Even Amazon owns only a modest share of the whole market. Scale is very important in terms of the creation of a viable backend for this kind of business. Jet.com estimates that it will need $150 million in infrastructure investments to compete on a national stage-- it's raised more than $800 million so far. The complexity, geography, diversity and volume of the retail industry (so so many small and dissimilar items spread across millions and millions of unique customers) has pretty much made it impossible for anyone including Amazon (even after more than 21 years) to capture more than about 20% of the opportunity. So enormous upside remains for other players like Jet, especially if they can crack the critical code in ways that are distinctly different from Amazon's approach. It's much, much harder for the market leader to respond quickly and competitively to new entrants whose approach is different and oblique rather than head-on. It doesn't help even the smartest player to just step on the gas (add more marketing dollars, more discounts, create more bundled services, etc.) if the competitors aren't playing the same game. And sheer size, not to mention deeply embedded code, culture and operations are all impediments to any kind of rapid response to new players offering alternative solutions in the market. See http://www.inc.com/howard-tullman/whats-wrong-with-retail-and-what-does-it-mean-for-you/html. For openers, Jet.com has completely changed up the transaction model. You still pick the goods but (unlike Amazon), they pick the dealer and the delivery method and-- with your permission-- the time it takes for the delivery. The differences these modest details make in (a) the ability to optimize (minimize) the overall costs of the entire transaction and (b) the ability to share the realized cost savings immediately with the buyers are pretty amazing. Breaking up the Bezos "bundle" into its component parts and transparently creating and offering alternatives and better economic choices for the consumer is going to completely change the game. Everything's about the buyer's bottom line: waive free return-- save money; use a debit card rather than a credit card-- save money; wait a few days for delivery-- save a bunch; etc. And those are just the most obvious areas. What exactly has Jet.com figured out and what are they doing that's so smart? Henry Ford got away with a one-model, one-color Model T, but those days are long gone. Consumers want to drive the deals and they believe that they should have unlimited options and choices. And frankly with today's technologies, they're not entirely wrong. See http://www.inc.com/howard-tullman/surprise-you-can-be-all-things-to-all-people.html. These desires, and the growing expectation that this is "business as usual," are a nightmare for companies looking to grow by delivering basically the same set of services for millions of satisfied shoppers. Amazon's entire model is based on a bundle rather than a basket-- you get a lot of value and a lot of service and convenience from Prime-- but you don't get much choice and you have only the most modest ways to adjust the price of the package. Jet.com is all about having it your way-- every day-- any way that works for you. And when you're purpose-built for that kind of flexibility from the start, it's almost impossible for the "old" guys in the business to match your agility, flexibility or responsiveness. What Jet is figuring out is that the best deal for me today may not be the same as yesterday's or tomorrow's because my concerns and objectives will change frequently. The systems any retailer builds going forward will have to suit the users, not the other way around. Consumers don't want to conform today - they want to choose. I say all the time that time is our scarcest resource, that attention is the new currency, and that increasingly we will only make space for what we're interested in, but not everyone's in a hurry every day. Not everything is critical at this very moment; not all things are urgent or important in the scheme of our lives; and in a lot of cases if we're offered a reasonable choice and some (financial) incentives, we're perfectly willing to wait for stuff as long as (a) the choice is ours and (b) the choice isn't irrevocable. When you think about it, Amazon's methodology is the poster child for the wretched excess and the indifferent and wasteful wave of selfish consumerism that is slowly sinking our society. We've been trained by the Prime movers that it's perfectly acceptable to order single items from multiple sellers across the country and expect them to arrive on our doorstep this afternoon. It's all about the IG culture-- instant gratification--and not wanting to wait for the marginal marshmallow. It doesn't really much matter how wasteful and ultimately expensive this whole approach may be. No one complains too much about the excess packaging that piles up everywhere. Everyone ignores the environmental costs of multiple shipments. But Jet.com believes in building a smarter basket and asking folks to be just a little patient in return for saving a bunch of money-- and not letting the inmates run the asylum, although they wouldn't likely own up to the last observation. They aren't doing this for the good of the country (although that may be a nice byproduct); they're doing it because it makes good business sense. Too many of us techies today live in an insulated and isolated world that is basically a shiny, buffed-up bubble that completely ignores the day-to-day concerns and financial realities of the people who inhabit most of the world. Sometimes our biggest blind spots come as a result of our own behaviors. If you live your life at Starbucks and move through an Uberized economy where an extra buck or two (for access, speed or convenience) is a drop in the bucket, it's hard to imagine the daily struggles of millions of moms trying to make ends meet. They desperately care every day about saving a few dollars to help make sure that they can feed their families. Jet.com is all about building a business to address this underserved community. Not only do these consumers feel that they're more in control of their own destinies; they feel that they have a new range of intelligent choices, and that's equally important to them. There's a lot to be learned by looking very closely at how Jet.com is taking on Amazon-- both in terms of your own company's offensive strategies and in terms of the defensive preparations you should be making to respond to the inevitable competitive threats that you can expect right around the corner especially as you grow. By the time everyone else figures this stuff out, it will be too late to make a difference. So now's the moment to get moving. To view the original post, visit http://www.inc.com/howard-tullman/dont-overlook-the-second-mover-advantage.html.